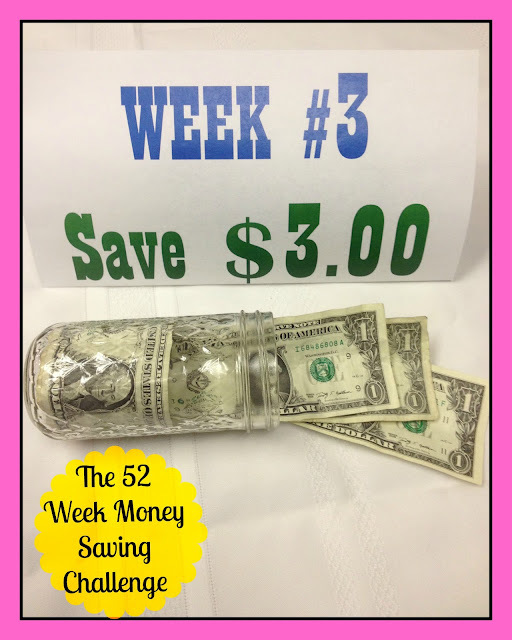 Welcome to Week #3 of The 52 Week Money Saving Challenge. This week, I'm saving three dollars. It isn't too hard to save three dollars, right? 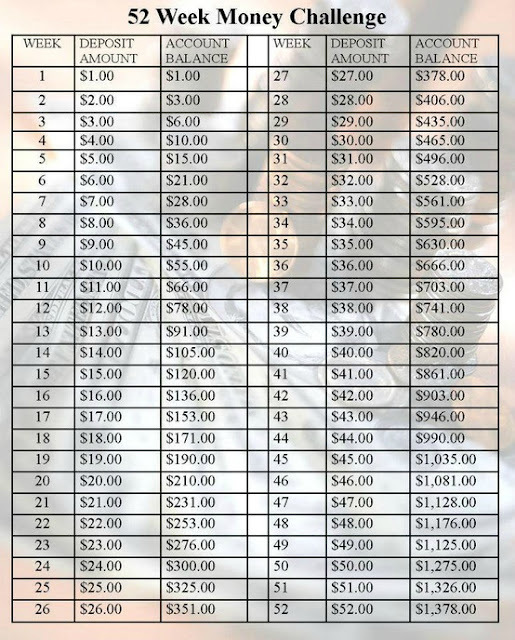 I hope you decide to take the challenge, because that means that by the end of the 52 weeks we will each have saved over a thousand dollars cash money. That is a lot of moolah. The most beautiful part is that it is so darned easy to do this challenge. You are welcome to print this chart, or get details and a free printable chart from the founder of the challenge, Stuck At Home Mom . I need to start making a list of people doing this so I can link to all their blogs! I'm moving my site in the next few days (new hosting) then I'll update my Challenge.